For couples that are getting a divorce in San Antonio, they’ll generally go through six different steps. All divorce cases are unique, so not all of the steps below will apply to your divorce case, but most will occur in some way. When you are getting a divorce, you should hire a San Antonio divorce lawyer who has a great deal of experience with family law cases and knows what your rights are. For the divorce process to begin, it must start off with one person filing for divorce. The spouse who has filed for the divorce (known as the petitioner) must serve the divorce petition to the other spouse (who is referred to as the respondent). The petition can be 1 – 50 pages or more, it all depends on what you require from the divorce – child custody, distribution of shared property, etc. The respondent can be served the petition in two ways; by a local sheriff or by post. When they have received the petition, there is a set date that they must respond by, this is usually 20 days after the request is served. Unless you are acting as your own lawyer, you don’t have to sign the petition. However, if you want to review the document before it’s filed and served to your spouse, you must let your lawyer know. By law, certain information is required on the request. When it comes to initiating the divorce with a petition, you must carefully consider what manner you use as this can influence the mood for the rest of the case. Your attorney will help you to come up with a petition that isn’t going to set an aggressive mood. Both spouses are often set with temporary orders while the petition is being filed, and divorce is being granted. These orders can either be negotiated between the couple, or the court can set them for them. The temporary orders will often stay in effect until the divorce is final. The rules dictate property distribution, who has to pay which bills, who gets to live in the marital residence, what support payments must be made, who gets custody of the children, etc. 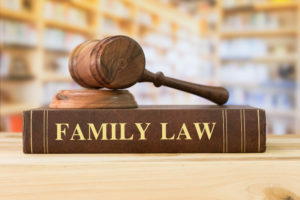 In some cases, a temporary restraining order may be set by the court if one of the spouses, their children or their property needs protecting. The TRO only lasts for 14 days after it has been issued so a hearing must be carried out within those 14 days. If you have given a TRO to your spouse, they must obey all of the terms. If they fail to do so, they could face punishment. Gathering information for your divorce case can take a lot of time, but it’s one of the most important aspects that needs to be carried out. Your lawyer only has access to documents and information that you allow them to have, so the more evidence you can provide, the stronger your case can become. You can provide them with documents such as bank statements, real estate deeds, insurance policies and more. If you are unable to gain access to any documents, you must disclose this to your attorney. You will be given something called an information sheet; you must complete this by filling out all of your details. It is quite time-consuming, but it’s crucial to the case. Both parties are often asked to create a file called ‘Inventory and Appraisement.’ This file will include information about any separate or community real estate that they own. The exact value of the property (or properties) must be stated, and so must any liabilities. Honesty is the best policy as the Inventory and Appraisement will need to be signed under oath. Before settlements are 100% finalized, there is often a lot of conferring between both parties. Your lawyer won’t offer or accept a settlement unless you fully understand the proposal and have approved of it. With most divorce cases, there are around 95% of them where negotiations are made and agreed upon outside of court. Although, most of these settlements are made last minute either in the middle of the trial or just before the trial. If you don’t negotiate a settlement out of court, it’s up to the judge to decide for you. No one, not even the attorneys, can foresee what the judge’s decision will be. For negotiations to go well, both parties must be grown up and considerate of the other. 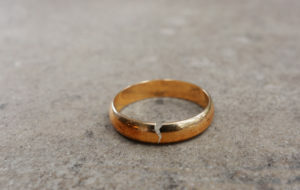 If the couple is unable to agree upon a settlement, their divorce case must be taken to trial. There are very few divorce cases held in front of a jury; most are only tried in front of the judge. Depending on your situation, a jury trial may be appropriate. Your lawyer will discuss this with you if they feel a jury trial is necessary. In most cases, the judge will announce their orders at the end of the trial, and it is relatively rare for the orders to be sent to your lawyer by letter after the trial. When both parties reach a settlement, or a judge has ordered a settlement on behalf of both sides, there is still a lot of work that needs to be carried out. If the divorce case has tried at court, it’s quite common for one or both of the parties to want the court to reassess its rulings. You can do this by filing post-trial motions. After the divorce is final, you will have 30 days to file any motions that you wish to. When the divorce decree has been signed, the attorneys for both parties must draft a separate divorce decree. Your lawyer may have done very well for you in settlement or at trial, but it has happened many times where the draft has lost the client a lot of what was gained for them. There will be two documents when the divorce case is fully settled. There will be an Agreement Incident to Divorce and an Agreed Final Decree of Divorce.